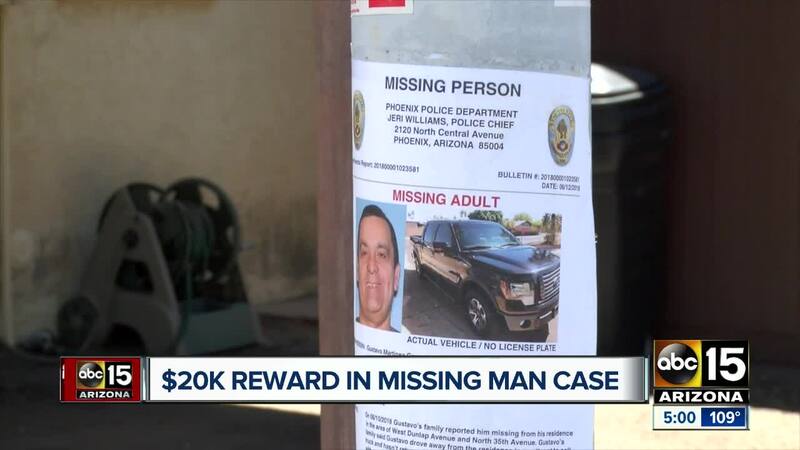 Police are asking for the public's help locating a missing Phoenix man whose family says he left his home to sell a truck and never returned. On June 10, 52-year-old Gustavo Martinez Gonzalez's family reported him missing after he was last seen leaving his home near 35th and Dunlap avenues. Gonzalez's family says he met with a person on Craigslist who inquired about the truck. His wife told ABC15 News she overheard Gonzalez talking to two men in Spanish before leaving the house. This is not "normal behavior" for Gonzalez, police said. There is a $20,000 reward for information that leads to his return: $1,000 from Silent Witness and $19,000 from the family. The victim's daughter says he fixes up cars and resells them for more money. 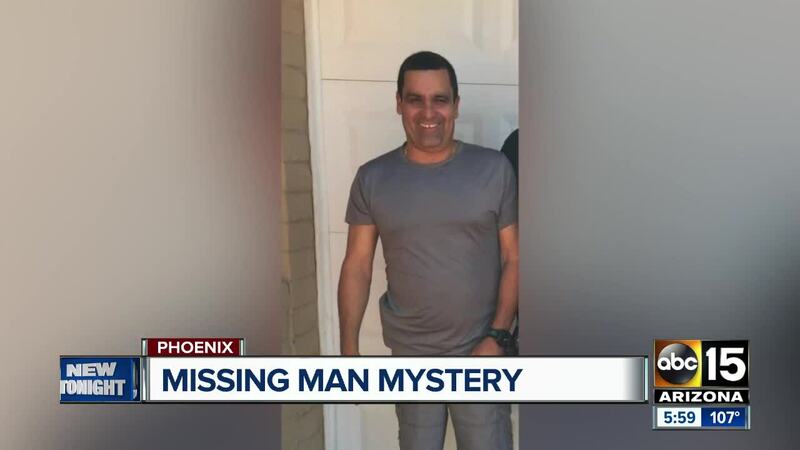 "We know my dad is missing because he isn't the type of person to leave and not tell anyone where he's going," his daughter told ABC15 News. "He always lets his wife know where he's going." Family members believe he was abducted. "If you still have him kidnapped, please let him go have him safe and sound," his wife, Isaida Sanchez, said. "For a mere car, this should've never have happened. You shouldn't harm a human's life over a vehicle." "He's the guiding light in our lives," his son, Gustavo Martinez, said. The missing father is described as being 5 feet, 6 inches tall, about 180 pounds, with black hair and brown eyes. He was last seen wearing a black T-shirt, black shorts, and black Puma sneakers. He is missing the top portion of his left index finger. His truck is a 2012 Ford F-150 FX4. Gonzalez removed his license plate because he believed he was selling the vehicle. Anyone with information about his whereabouts is asked to call the Phoenix Police Department's Missing Persons Unit at 602-534-2121.